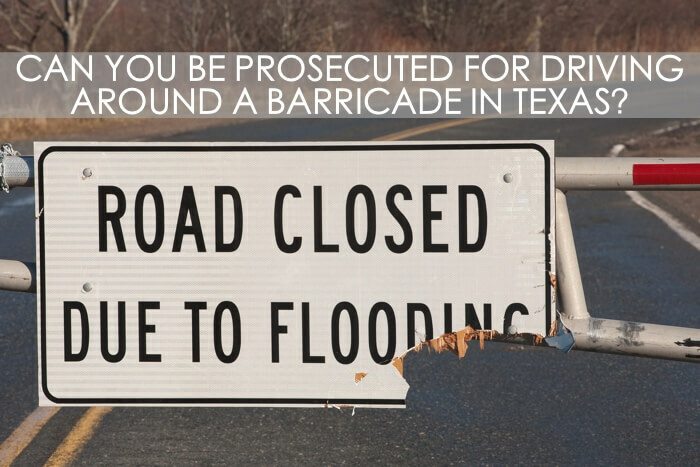 You’ve seen the blue and white signs posted all over Texas roadways that read “DWI – You Can’t Afford It.” The signs offer a simple warning, but they don’t detail the actual costs related to a DWI arrest. 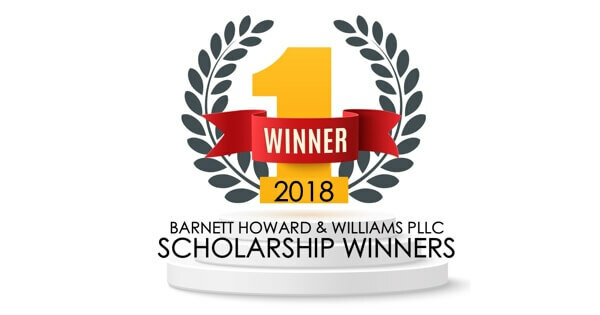 So, we thought we’d help give you a general idea of what to expect financially if you or someone you know is faced with a DWI charge in Texas. 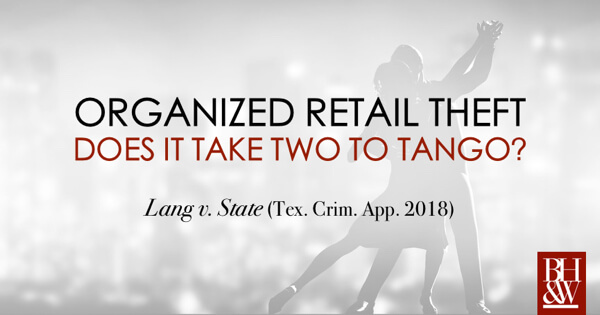 The figures that we provide may not be 100% accurate for every case or situation but are drawn from our experience in representing well over 500 Texans charged with all types of DWI offenses. 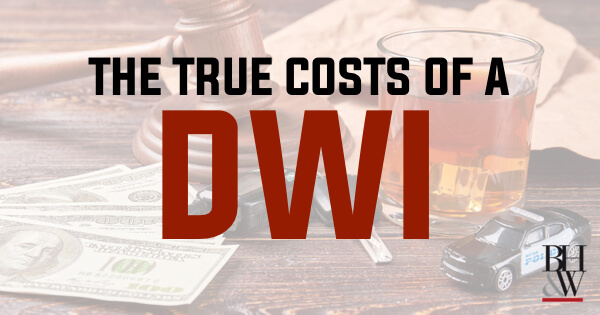 The cost of hiring a DWI attorney is probably the first thing that comes to mind for most folks when they consider the cost of a DWI. 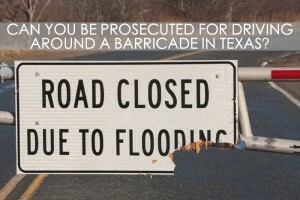 As you know, if you are charged with a DWI in Texas, having solid, experienced DWI representation is paramount. 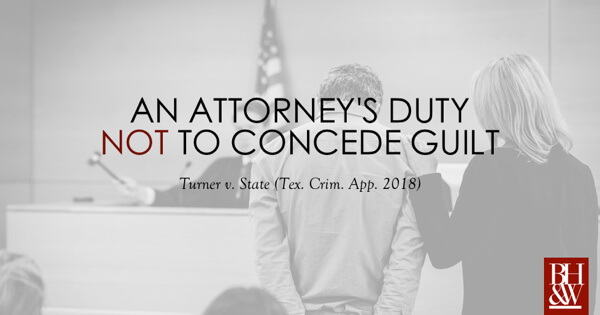 Keep in mind that your attorney can often help you save or offset some of the costs we will discuss in detail below, so it is important to retain counsel that is experienced in handling DWIs in your jurisdiction. 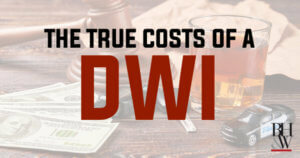 *A word of warning… “Nothing is more expensive than a cheap lawyer.” The range of DWI attorney’s fees is broad and can vary by experience and expertise. Contact our DWI defense team to learn about our fees for DWI representation. After being arrested for DWI, paying the bond to secure jail release will be the first expense incurred. Depending on the type of DWI charge and the jurisdiction, judges across the state set bond amounts that we’ve seen range from $500 – $10,000. Bail Bondsmen typically charge 10-15% of the total bond amount, but that amount you pay the bondsman is kept by the bondsman. You can also pay a Cash Bond. A cash bond requires payment in full of the bond amount, but the money is returned to you upon disposition of the case (minus any administrative fees charged by your county.) Some counties offer bond release programs for low-risk offenders. This option is often the cheapest route initially, but there can be monthly reporting requirements that require additional fees. 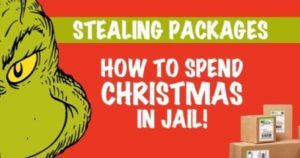 *If you plan to pay a bail bondsman, you will probably pay between $100 and $500. *If you pay the full cash bond, you can estimate between $500 and $2500 in our experience. Counties vary on how and when they require an ignition interlock device or alternative alcohol monitoring device as a condition of bond. 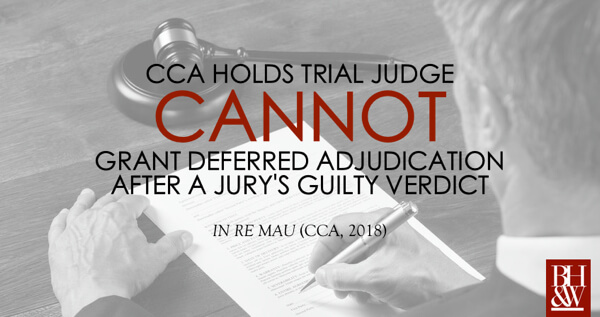 If required in your case, the court will require you to maintain the device as a condition of your bond. Additionally, if you are convicted and placed on probation for certain DWI offenses, the law requires the ignition interlock device requirement. There are several different companies that offer these devices and we’ve seen the monthly costs of the devices range from $65-105 monthly. Some companies require deposits or administrative fees at the time of device installation. *If you are required to install an ignition interlock device on your vehicle, the monthly cost will range from $65 – $150. *If you are required to have a home alcohol monitor or use a wearable SCRAM device that measures alcohol 24/7, the monthly cost will range from $65 to $250. If, during your arrest for DWI, you refuse to provide a specimen of breath or blood, or the specimen that you provide is over the legal limit of .08, DPS will seek to suspend your license for a period of 90 days – 2 years. You have a right to a hearing on that suspension (a good attorney will request a hearing on the suspension and contest it.) However, if the license is ultimately suspended, you should be eligible for an occupational driver’s license. An occupational license gives you the ability to drive for employment purposes as well as essential household duties. In order to obtain an occupational license, you must file a petition with the court. The filing fees associated with a Petition for Occupational License range from $45-$285, depending on the court. Once the occupational license is granted, the order granting the license has to be processed by DPS. At that time, DPS will charge a $125 license reinstatement fee and $10 fee to process the plastic occupational license. It is important to note that a request for occupational license requires proof of financial responsibility also known as an SR22. An SR22 is proof of your financial responsibility. Ultimately, you will maintain your liability insurance. The SR22 is an additional endorsement that monitors your status as an insured driver and confirms for DPS that you are insured. The costs of an SR22 can vary from $25-$125 monthly depending on the insurance company and how the SR22 is requested. If you are ultimately convicted of DWI, whether as a result of a plea agreement or after a jury trial, the court will typically impose a fine. 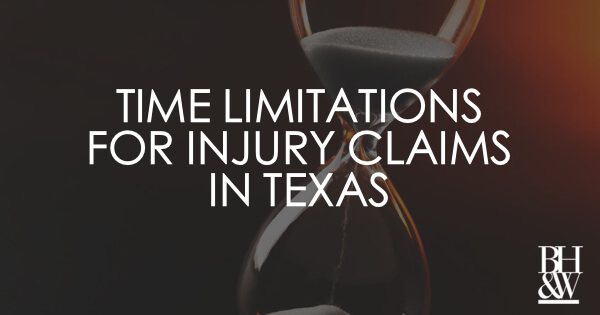 The fines misdemeanor DWI convictions in Texas range from $0 – $4,000 and the fines for felony DWI convictions range from $0 – $10,000. Regardless of the charge, fines are typically negotiated by your attorney during plea negotiations with the prosecution. * If you are found Not Guilty of your DWI charge, there are no fines imposed. 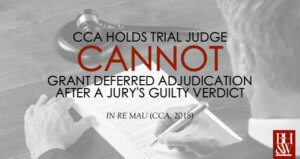 True to their name, “court costs” are the costs charged by the court for processing your case. Court costs are only incurred when there is a guilty finding or a guilty plea and they usually range from approximately $300-400. * If you are found Not Guilty of your DWI charge, there are no court costs. If your DWI case results in a probation sentence, the judge will order you to pay a monthly supervision fee to the probation department. We’ve seen these fees waived and seen them imposed up to $60 monthly depending on the person’s financial status. If you are convicted and placed on probation, you will be required to complete a 12 hour DWI Education Program class. The cost of the DWI Education program class is typically around $100-125. 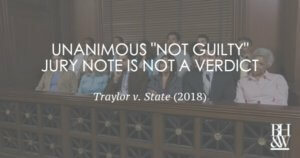 Another requirement that is typically imposed by the court as a condition of probation is the Victim Impact Panel (VIP). VIP is a presentation by Mothers Against Drunk Driving (M.A.D.D.) 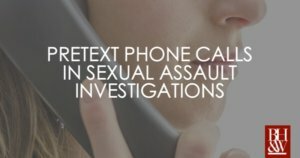 or similar organizations where people or family members of people affected by intoxicated offenses describe their experiences with those situations. * The fee for attending the panel is usually $50-70. If sentenced to probation, you will be required to submit to an assessment to confirm whether you have any underlying alcohol or drug-related disorders. Once the assessment is performed, there will be a recommendation made if there are findings of alcohol or drug-use issues. 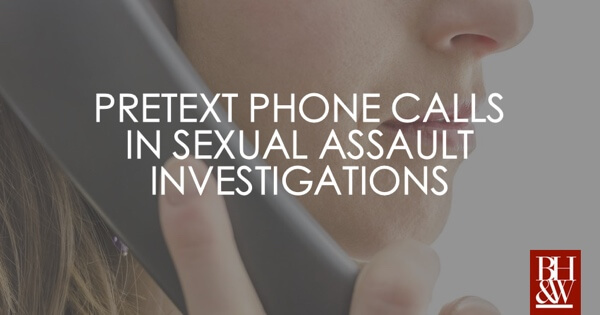 Those recommendations can range from individual counseling to outpatient treatment to residential treatment. As you know, these services are not free and can be very expensive. If you were involved in an accident where property damage or medical bills are incurred by a third party, you can be required to provide restitution to that person or persons. We also see restitution requested by the labs that perform blood alcohol analysis for the state (typically around $180). License surcharges are usually the last cost incurred, but also the most expensive. 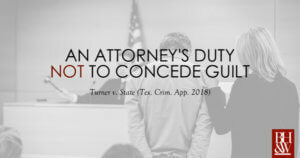 Texas has a highly controversial program known as the “Texas DPS Driver Responsibility Surcharge Program.” The purpose of the program is to penalize people convicted of DWI with an additional financial penalty related to their driver’s license. If not paid, the consequence is an automatic, indefinite suspension of their driver’s license until paid. The surcharges range from $3,000 – $6,000 depending on the type of DWI charge. Many people report their car insurance rates skyrocketing after a DWI conviction. In the alternative, several insurance companies will deny future coverage altogether. This can be one of the most expensive consequences of getting a DWI and it is hard to forecast the exact impact because it will last for a long time. 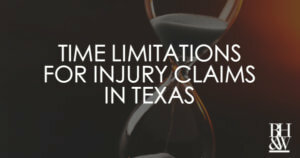 While every DWI arrest is different, it is easy to see how a DWI conviction in Texas could end up costing $15,000 in the long run. Hiring an attorney experienced in handling DWI cases is essential. 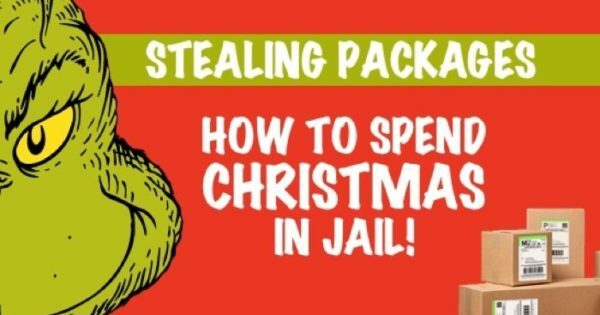 The majority of these costs are only applicable if you are convicted. 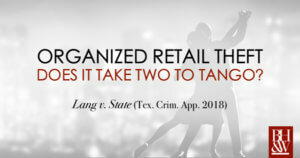 The best thing you can do is hire an attorney who can review your case to determine what problematic issues there are for the state and whether the state has the evidence they need for a conviction. If they don’t, you might be able to avoid some of these costs altogether. 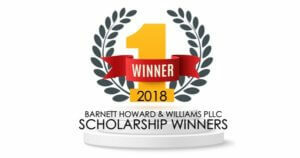 If you or someone you know is charged with a DWI, please give Barnett, Howard & Williams, PLLC a call at (817) 993-9249. We will gladly offer a free in-person consultation to sit down and discuss your case with you.